President Jacob Zuma resigned on Wednesday night, bringing an end to his scandal-marred tenure and leaving the nation’s leadership in the hands of the ANC’s new leader, Cyril Ramaphosa. 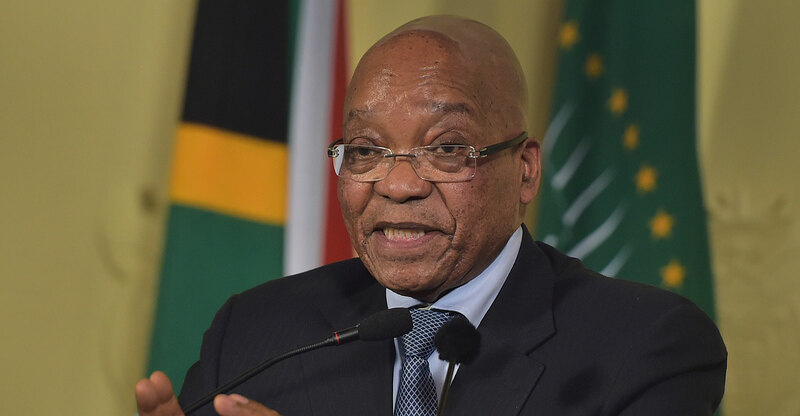 Zuma spoke after the ANC announced it would hold a parliamentary vote of no confidence in him on Thursday. Calls for him to quit had grown since Ramaphosa replaced him as ANC leader in December, and his fate was sealed when the party’s national executive committee decided on Monday to order him to step down. The ANC should never be divided in my name. I have therefore come to the decision to resign as the president of the republic with immediate effect. Ramaphosa, who was served as deputy president since 2014, will become acting president and the national assembly must choose a replacement for Zuma within 30 days. Ramaphosa is likely to be elected in a permanent capacity on Friday and deliver the state-of the nation address the same day. The keynote speech was postponed on 6 February, two days before Zuma was due to deliver it, due to the turmoil within the ruling party. While Zuma’s cabinet doesn’t have to resign, Ramaphosa will be able to hire and fire ministers as he sees fit. With the national budget due to be presented to parliament on 21 February, investors will be watching to see if he retains Malusi Gigaba as his finance minister. His resignation came just hours after the Hawks, a police investigative unit, raided the Gupta family’s Johannesburg residence. One of the Gupta brothers and four other suspects were arrested in connection with the alleged shifting of funds from a failed state-funded dairy project and are due to appear in court on Thursday, City Press reported. “Zuma’s exit was almost inevitable once it emerged that the ANC was willing to remove him through a vote of no confidence, his former supporters deserted him and the Hawks showed their intent with raids on the Guptas,” said Mike Davies, the founder of political advisory company Kigoda Consulting. Growth has averaged just 1.6%/year since Zuma took office in 2009, undermined partly by a series of policy missteps and inappropriate appointments that rocked investor and business confidence. Disgruntlement with his rule caused support for the ANC to fall to a record low in 2016 municipal elections and cost it control of Johannesburg and Pretoria.